Do I really even sleep at night? Have you read Everything is Illuminated? Totally unrelated but there’s a passage in there that reminds me of your poem. Beautiful work, by the way! Just awesom writing, real words and heartfelt. Each day brings new beginnings and fresh hope. At least the sun comes up, and if I can get out of bed feet first, I’ve got a chance. Your poem is felt. Thanks for sharing. Some times loneliness is your best companion. Thanks very much for that kindness–you as well. Nice words from your heart, No one is alone in this small world. The sad and good part is, we have to fight ourselves in it. So the good we know the solution. I still can’t trust myself even, but I stop thinking of those gaps in life. I am still very poor in communicating with people. I am excellent in writing. 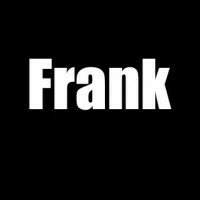 This is a beautifully somber piece, Frank. Really well done and speaks so directly to the heart. THe world is shrinking, so are our relationships. A need of the hour, to speak of the situation. Well written! I like the raw emotions at play here – I think this poem speaks to the experiences of many more than you probably imagined when writing it. Don’t think of holding you in the night Frank but am here to say HI. God can fill those holes 🙂 Praying always helps.